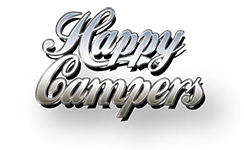 The Happy Campers Grand Tourer Plus is a beautiful 4/5 berth campervan with up to 6 seats. 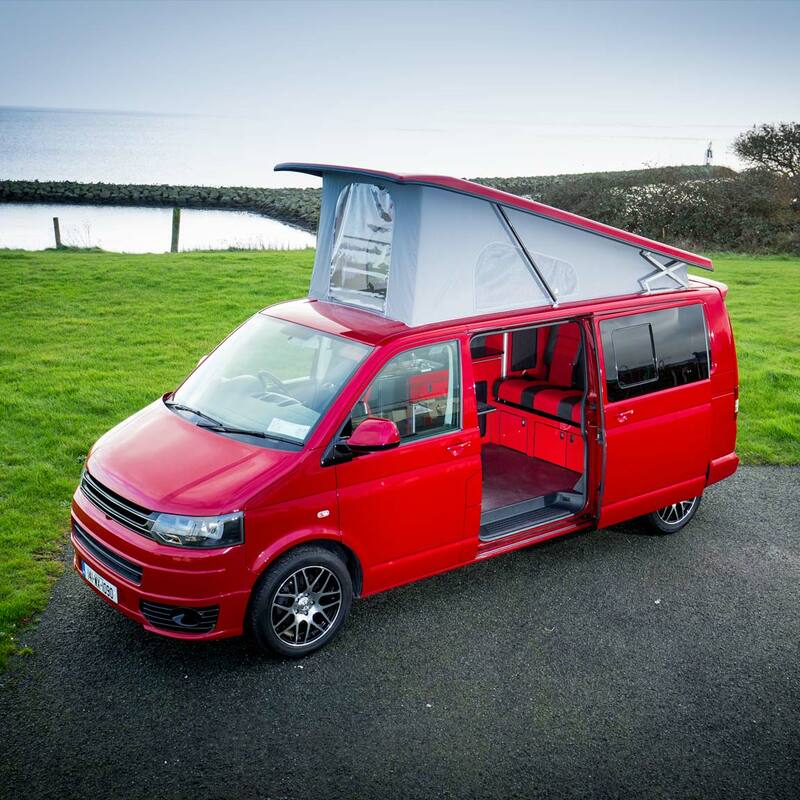 Similar in design to the Grand Tourer this model is also fitted with the Austop Front Elevating Roof. 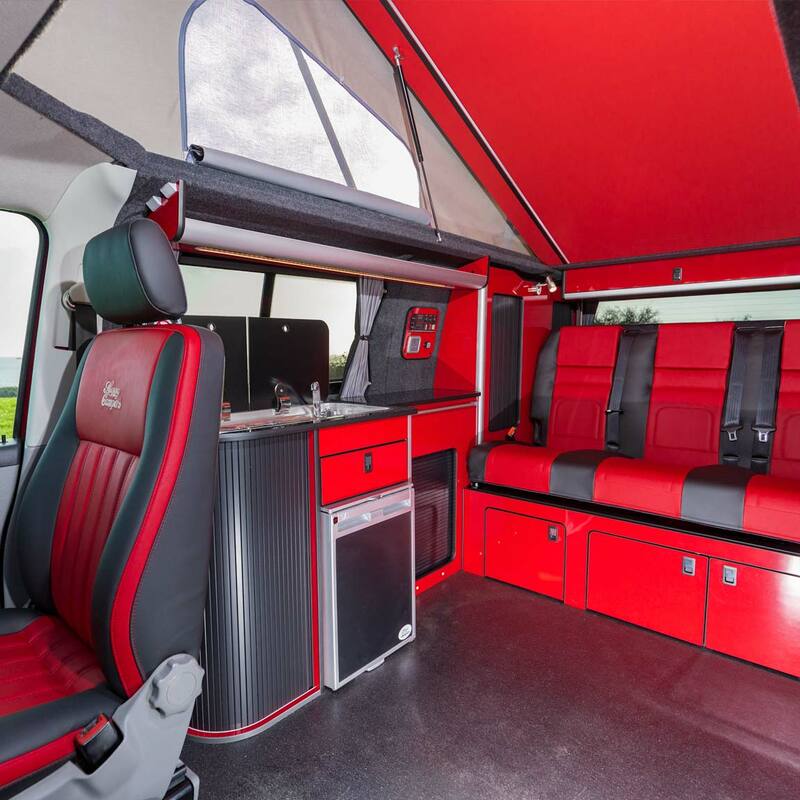 The extra sleeping capacity is facilitated by the RIB Altair 130cm 3 Seater Bed. This bed can carry 3 passengers in comfort and safety and it converts into a 1.3-metre-wide bed that can comfortably sleep 2 adults and 1 child. 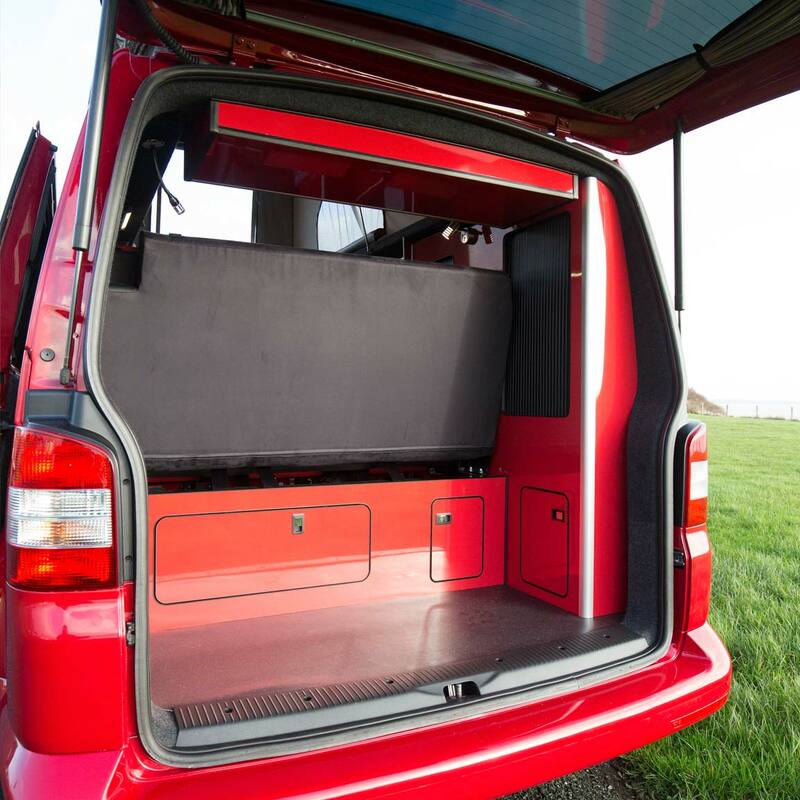 In all our campervan interiors, we make maximum use of space and there will be ample storage for all your camping accessories. 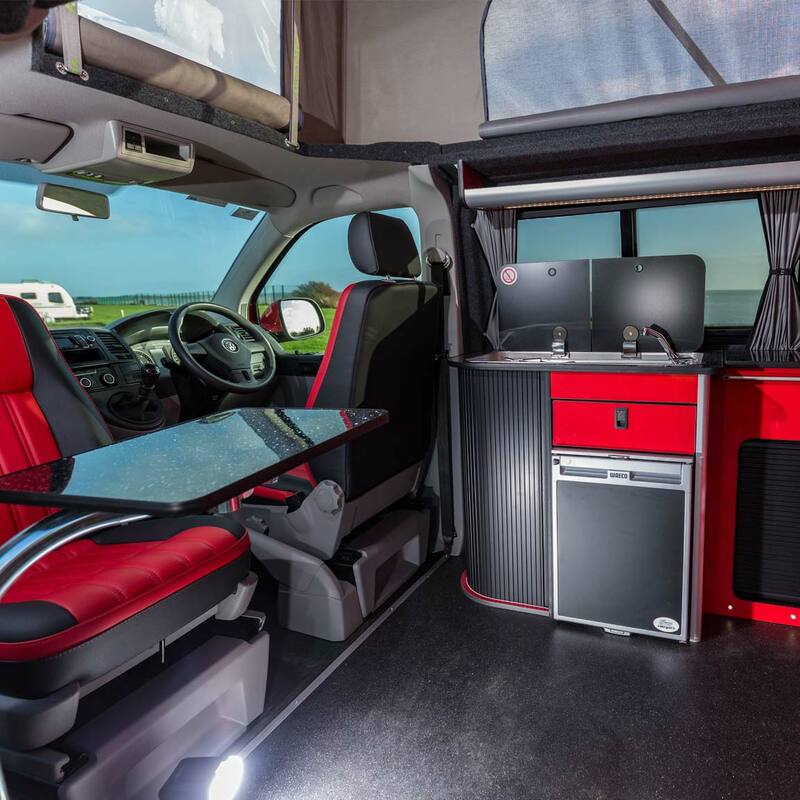 Completely fitted out with everything you need in a campervan, all you need to do is pack up and explore the world.